In his speech, Zhao Ming said that 3G, 4G and 5G are moving forward, one cycle in ten years, and each cycle of network construction involves three levels of participants: the first level, standards and core patent promoters such as Huawei; the second level, solution providers and validators promoting network construction, such as operators and mobile phone solutions. 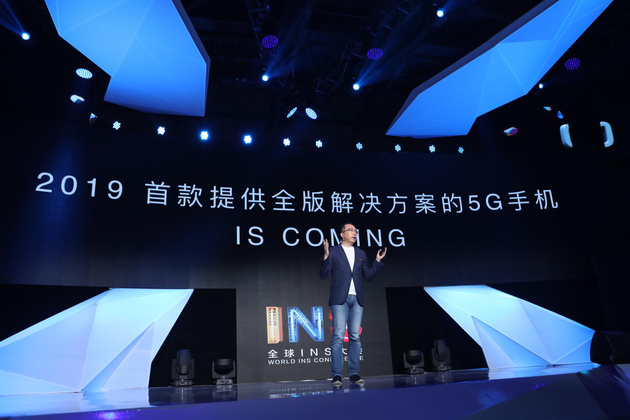 The manufacturers involved include Apple, Samsung, Huawei and Qualcomm; the third tier, mobile phone brands based on 5G solution providers, and 5G application service providers such as various Apps. The whole 5G ecosystem will be calculated at the scale of one hundred thousand billion US dollars. In his view, the above three levels of HUAWEI and glory mobile phones are deeply involved in the core position. Other mobile phone manufacturers are in the third layer of the epitaxial location, lack of technology reserves, solutions are imperfect, these gaps are difficult to bridge in the short term. Zhao Ming said that compared with the 4G network, 5G has the characteristics of high speed, short delay, wide links, automatic driving, smart home will become a reality. But correspondingly, it also poses new challenges to the devices connected to 5G network: first, the huge amount of information exchange and calculation requires higher processing capacity of the mobile phone; secondly, higher speed brings higher power consumption; thirdly, information multiple reception and transmission, the increase of mobile phone components and antenna area, the distribution board of the mobile phone. Design and industrial design put forward higher challenges. This is also the challenge facing manufacturers, including Glory Mobile, who are interested in participating in the global competition for smartphones in the next five years. This year, glorious mobile phone products launched a number of new technologies, such as GPU / CPU Turbo technology, the NINE liquid cooling technology and so on. To some extent, this is glorious mobile phone before 5G era in the optimization of existing equipment, technology on the basis of the 5G arrival ahead of schedule to do the basic layout and drill, respectively, in view of the above 5G mobile phone design and development challenges, may face processing capacity, computing carding, power consumption and other problems. In addition, Glorious Magic 2 was unveiled at the IFA exhibition in Germany shortly before, using sliding screen design, and will be the first batch of Kirin 980 chips. Zhao Ming revealed that Magic 2 is a technological idealistic product that will provide more solutions that combine artificial intelligence with 5G. "AI will help us change all kinds of things in our life, beyond our imagination." Zhao Ming said that many of the things we thought were very difficult can be found in the age of 5G and artificial intelligence. Good afternoon, distinguished guests and leaders. It is my great honor to share with you on this stage some ideas and strategies on the 5G industrial plan, the layout of the end-to-end industrial chain related to network construction, and Huawei in this field. We're talking about a cycle in the field of mobile communications in 10 years, from the 1990s to the 20002G era, to the 2010 decade is the 4G era, today is precisely what we imagine together 5G. In the past ten years, the whole mobile communication network has been reincarnation. Who will drive and how to evolve? We say the 3G industry chain, the 4G industry chain, and the possible infrastructure for the next 5G will cost trillions of dollars. If we expand the ecology, take into account the upstream services, Internet applications, and then expand to hardware, base stations, towers, mobile phones, it may be calculated at the level of $10 trillion. So ten years of a carnival, 5G will bring the next wave of tremendous economic development. The first layer is the standard formulation and promotion of the entire industry process, including core patent and standard contributors, there are major communications technology, equipment companies, Huawei is one of them. The second layer is the solution providers and validators that drive network construction. At this level, say, China's three major operators, they actively promote 5G network standard validation, such as equipment manufacturers like Huawei, which pass standards through their own 10-year R&D or invest heavily in the entire network. The Department is building up. Another is the provider of mobile phone solutions, which is the second level participation. When the whole network is ready, the entire industry and industry will have a large number of followers and participants, the last layer, the third layer, is the use of chip solutions to provide 5G mobile phones. These massive benefits-sharing, and the emergence of apps based on 5G networks and capabilities, all kinds of services offered by Internet companies may be beyond our imagination and will be derived from them, which will constitute an investment of more than $10 trillion in the future for society as a whole. HUAWEI and glory are at the core of these three levels and are core players. Specifically to 5g mobile phone innovation, other mobile phone manufacturers are only in the third layer of the extension position, does not have the core competitiveness. Today I would like to share with you the progress of 5G. Do we see what 5G brings to us? First of all, high-speed, personal network speed can be as high as 20Gbps, 20G concept everyone imagine, downloading a high-definition film may be in seconds. So the qualitative changes caused by this kind of quantitative change may be beyond our imagination, perhaps we have never imagined the service and experience of the future may appear in the 5G era. The end-to-end processing delay has been reduced from 20 milliseconds to 1 milliseconds, and automatic driving has become a reality. When we talk about using VR glasses in the age of 4G networks, slowly following the scan as it rotates is a little dizzy, and it's not a problem on a 20 Gbps high-speed network or a very short millisecond scale. Guang Link, we say the Internet has a million connections per square kilometer, your tea cup at home, your hot pot and everything, you can enjoy a broader real smart home experience. There are too many scenes. For example, the speed of the high-speed railway is 500 kilometers per hour, and communication is not a problem. When our 4G network has not been built in large scale in China, the standard reserve of 5G has already started. We can see that the mobile communication network is a cycle of ten years, is the need for huge technical services, the driving force behind this is the need for strong capital investment, 10 years of research and development, we can see that this year has not started construction, but we have begun to make contributions to this decade ago. Until today, in 2018, the whole network standard has been mature. We look at the whole system equipment and Huawei's contribution in the world. We have 14 research institutes around the world. We have invested in 5G and announced more than 600 million dollars in construction in 13 years. This is our effort in practice. In 2017, we became the patent application of TOP1, and the number one in the world. So far, we have taken 5G cooperation with global TOP30 operators. We're talking about the 5G industry chain, and we're one of the few global vendors that can offer 5G solutions, from chips to whole system solutions. We can provide end to end solutions for 5G phones. 5G handsets require very high processing power, 5 times the processing capacity, higher power consumption, must require the most advanced chip processing technology, as well as the entire machine area heat dissipation capacity challenges, which is the future 5G terminal brings limitations. We can see that today we have 5G chip capabilities, including 5G code, including 5G is more mobile communication processing technology, we have unique advantages in this regard, as well as new heat dissipation technology, including today's 5G has a lot of system heat storage. As glory itself, it also provides technology products for future flagship solutions. Several products of the V series will move towards 5G in the future. We say Magic will offer more solutions to the combination of AI and 5G on the 5G road in the future, a product that glorifies technological idealism. This time I'm proclaiming to the industry that the technological idealism of Magic 2 is glorious. In the 5G era, when high-speed networks are combined with artificial intelligence technology, the chemical reactions that will take place will be beyond our imagination. AI will help us change all kinds of things in our life, beyond our imagination. Many of the things we thought were very, very difficult can be found in the age of 5G and AI, for example, the age of 5G social problems, we can remind you through virtual reality, to help people in trouble with their own eyes. These are the social problems that 5G and AI can help us solve in the future. The 5G era, the virtual world will happen more naturally, we are lucky to be big industry, big era promoter. As we refine standards and base station systems and terminal solutions, we can drive mobile phone manufacturers, designers, and suppliers around us to build a $10 trillion industry. This era is very, very close to us, and we will work with industry to bring a better world to you in the 5G era. Thank you. Glory Zhao Ming: in considering whether to enter the TV, 5G mobile phone is still marketing concept.